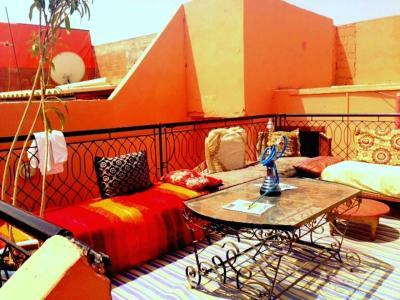 Lock in a great price for Hostel Marrakech Rouge – rated 8.1 by recent guests! 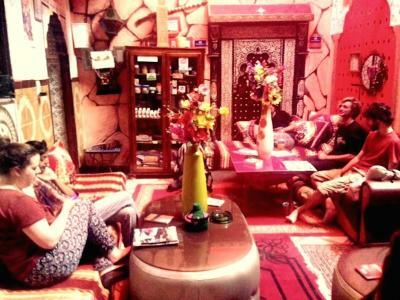 Friendly, welcoming staff, easy to make friends and enjoy the stay. 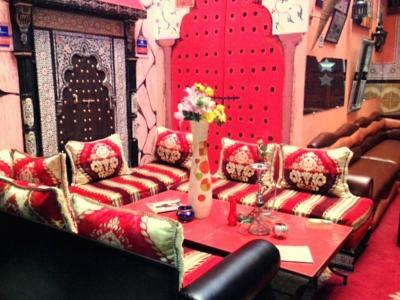 The staff was really nice and theocation is close to the major city square. We found the hostel very easy to find actually, as the cab we got from the train station took us to parking lot that was just down the one from the hostel. The staff were friendly and professional. The breakfast was basic but solid. 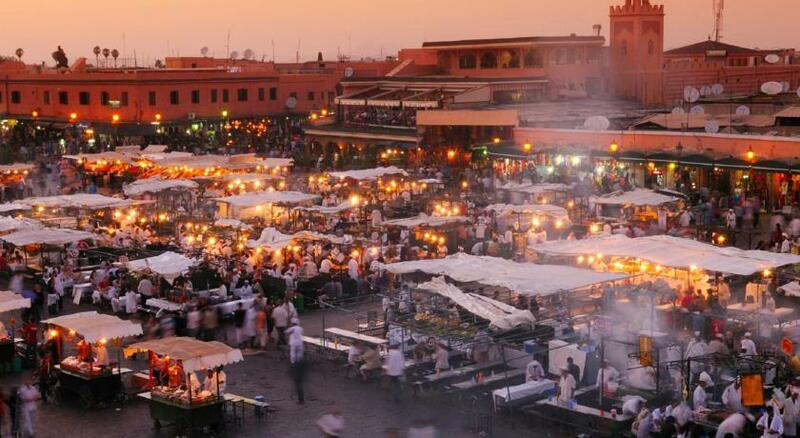 It was a quick walk from the Jamaa el-Fna square, and relatively quiet. Bathrooms had hot water and were quite clean. Overall solid stay! 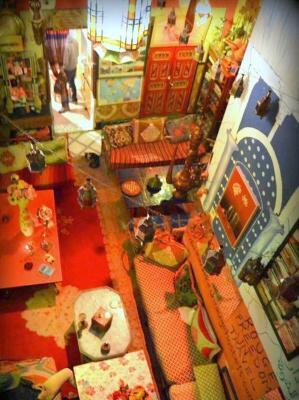 The hostel was as beautiful and interesting as the city itself! 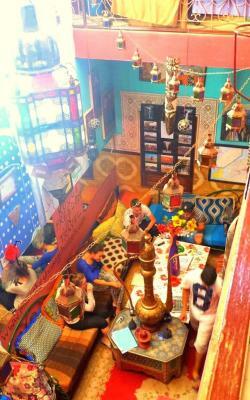 The staff was amazing, we really had fun with them and with the other guests. 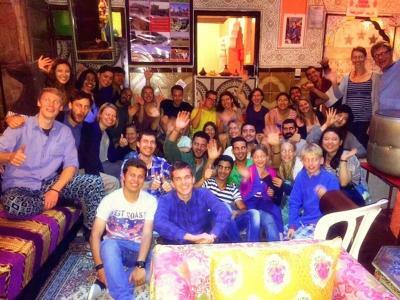 There was a good atmosphere and everyone was very welcoming. The location. 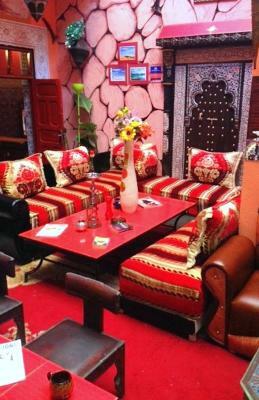 This is my fourth visit and more than happy with the services and facilities. 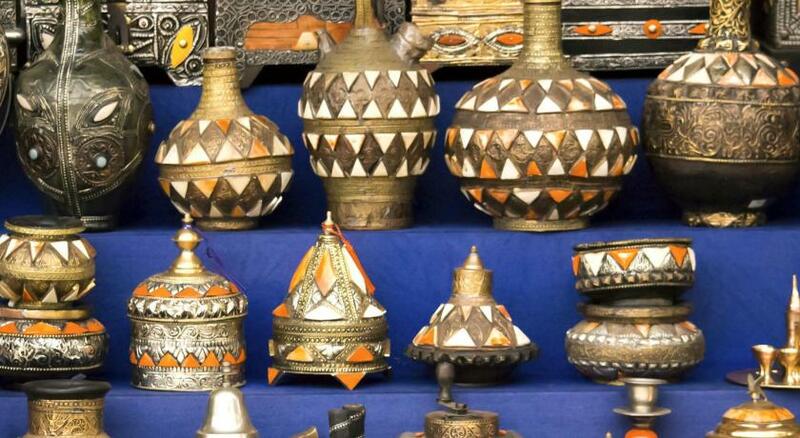 I had a great time staying at the Marrakech Rouge. 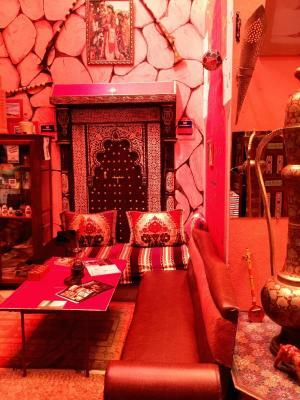 The staff were very friendly and the location was excellent. 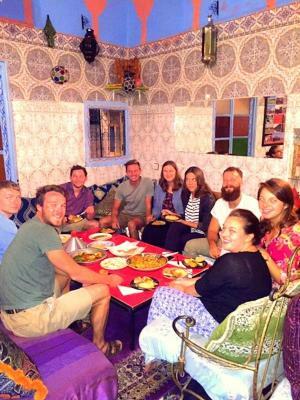 Hostel Marrakech Rouge is located 1,000 feet from Jemaâ El Fna Square and 650 feet from the Bahia Palace. 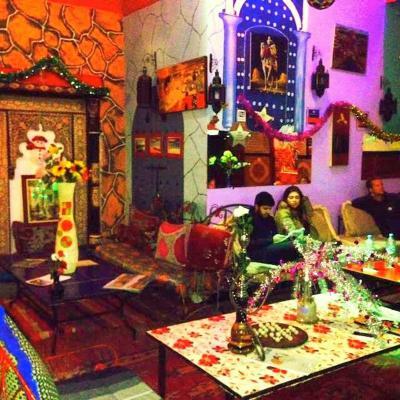 The hostel features a colorful Berber décor, free Wi-Fi access and several Moroccan lounge areas. 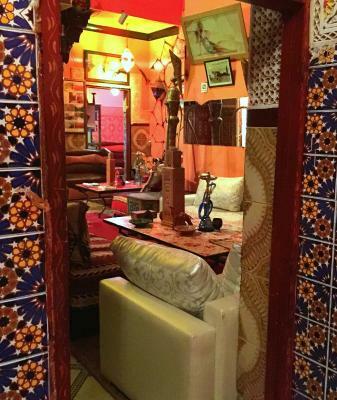 The guest rooms at Hostel Marrakech Rouge are simply decorated and have shared bathroom facilities. 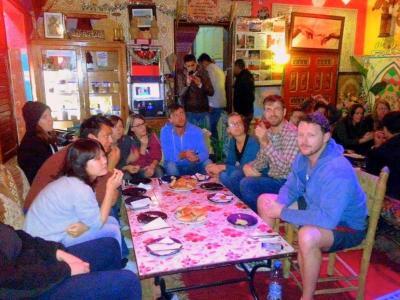 The hostel proposes both individual rooms and dormitory accommodations. 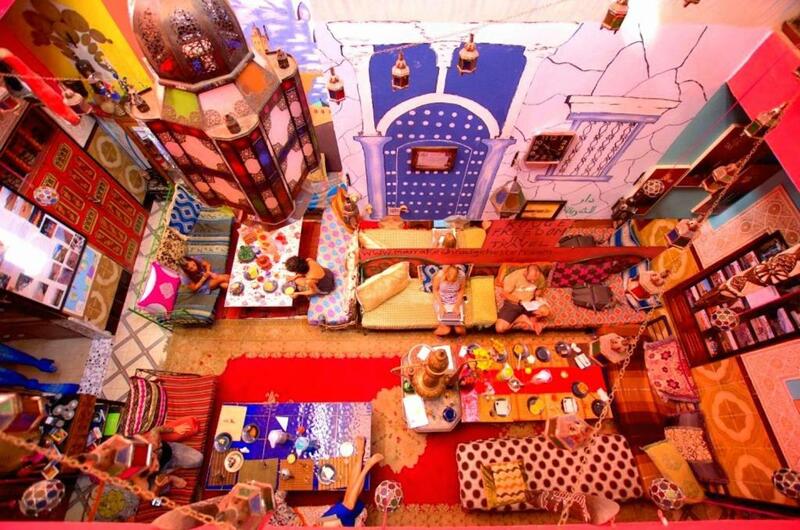 Moroccan cuisine can be served in the dining room, on the terrace or in the courtyard upon request, and on-site cookery classes can be arranged. A continental breakfast can be enjoyed in the morning. 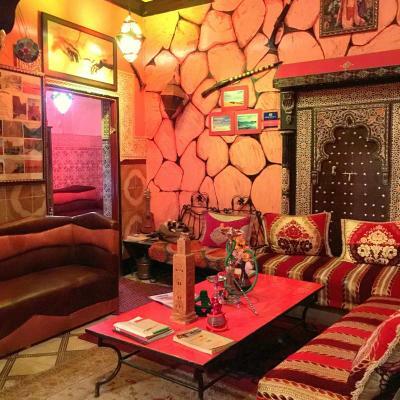 The hostel proposes a 24-hour reception and free luggage storage. 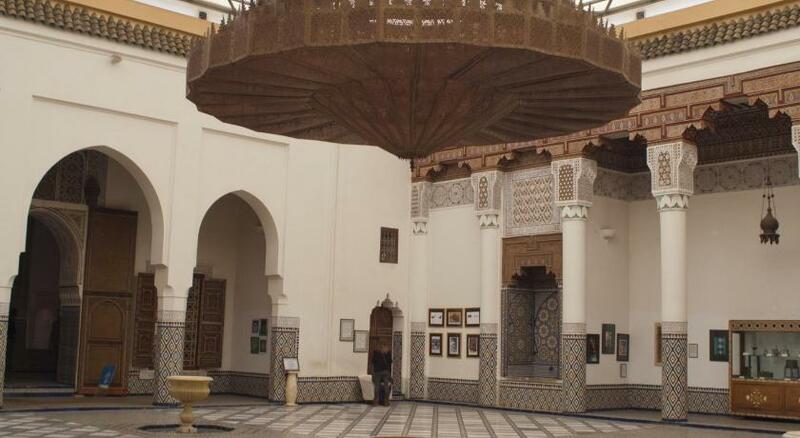 The property is 2,650 feet from the Almoravid Koubba, 3,100 feet from the Ben Youssef madrasa and 4.3 mi from Marrakech Menara Airport. 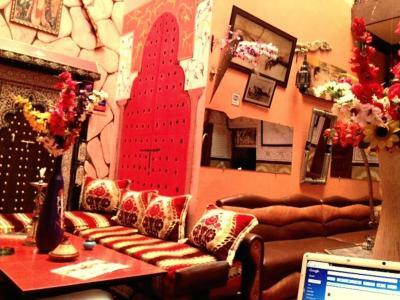 When would you like to stay at Hostel Marrakech Rouge? 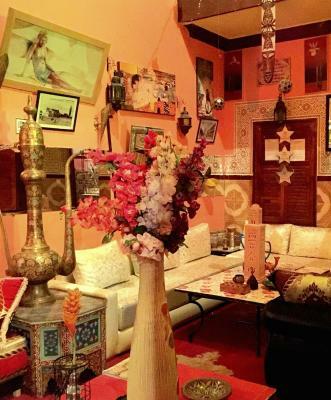 The rooms are simply decorated and have shared bathroom facilities. 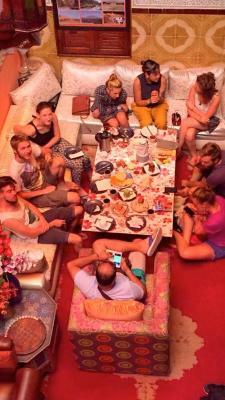 House Rules Hostel Marrakech Rouge takes special requests – add in the next step! 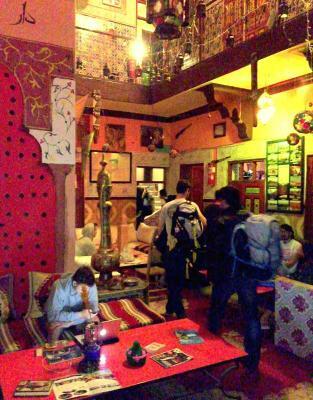 Hostel Marrakech Rouge accepts these cards and reserves the right to temporarily hold an amount prior to arrival. There was loud music being played until quite late at night (probably until around midnight, which made it rather difficult to sleep before then. Would be nice if there were lights and towels in the washrooms. The hostel felt very insecure as there were no locks on the dorm rooms meaning that anyone at anytime could just wander into your room.Rather frustratingly I was moved rooms without my consent whilst away on a tour and some of stuff was lost.The hostel staff were unhelpful when I reported this.. There was no heat (in the winter), the beds were not comfortable, the washrooms were not very clean and need to be fixed. People were smoking, so the smoke was going into our bedroom. It was also very loud at night, so it wasn't easy to sleep. There were people talking loud in the night. Because it is a riad, the rooms are in an kind of open space. So we heard the noises. Wi fi a bit hit and miss. But does the job. Shame it doesn’t work in some rooms. Facilities couldve been better and the smell was bad sometimes. There was a guess who played music after 10PM very loud on the roof and none of the staff asked them to tone it down. 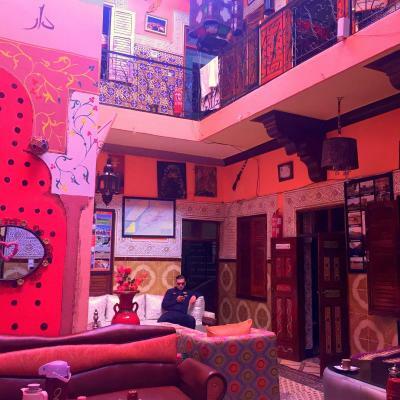 Very cozy hostel with super friendly staff!